Stonewashed cotton, adjustable back buckle closure. 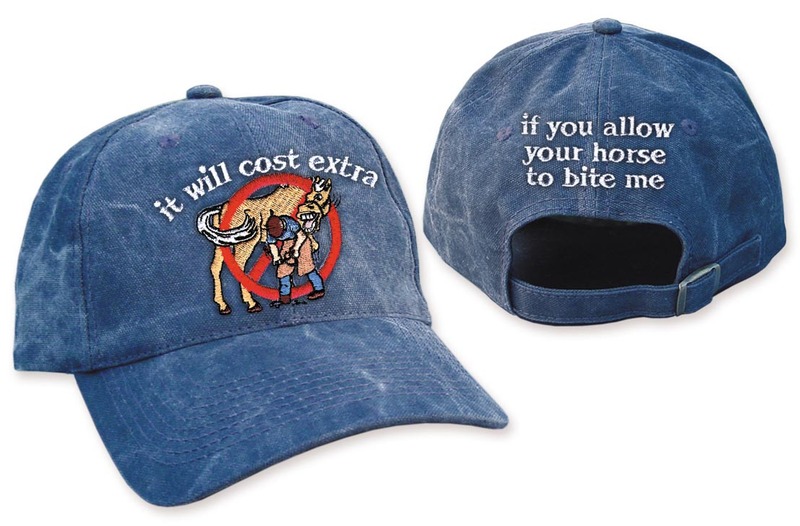 So, for under $25.00, you can buy a cap from us that surpasses his standards - that you can wear comfortably every day. Why be someone's walking billboard? When you can display a tasteful farrier logo that also coordinates with our other farrier business cards, invoices, and golf shirts.